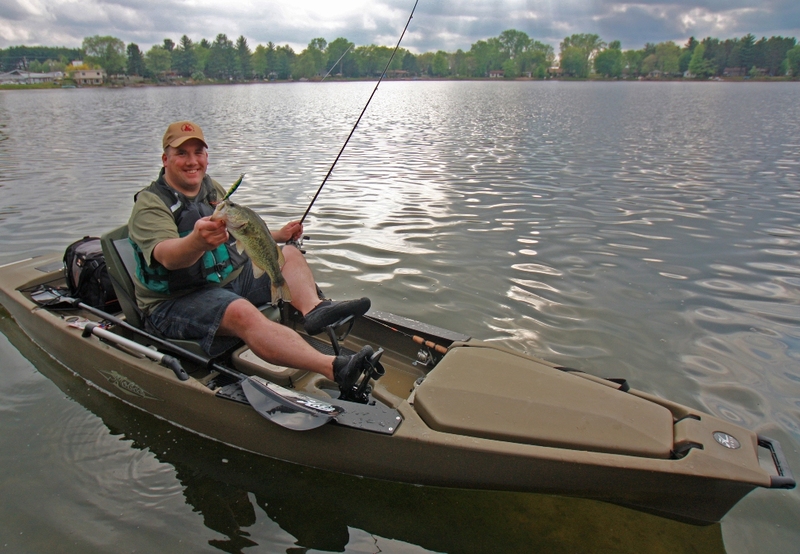 From oceans to farm ponds, streams to inland lakes, kayak fishing is a spectacular way to enjoy the sport. Coastal fishermen have come to enjoy the extra physical challenge of landing large offshore catches from kayaks. Inland, kayaks represent great a way to get onto all sorts of water, especially where access is not supported by roads or launch ramps, depths are shallower, or regulations prevent motorized watercraft. 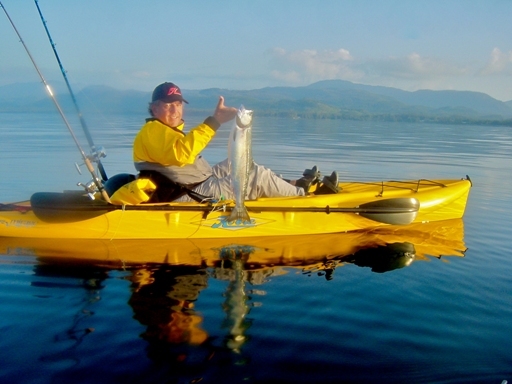 In all cases, kayaks bring you closer to the water, are eco-friendly, offer a quiet way to stalk fish and are easy to maintain, transport, launch & store. And it doesn't hurt that they are MUCH less expensive than gas-powered watercraft. Like many water-based sports that have become popular in recent times, kayak fishing has its roots in ancient techniques. 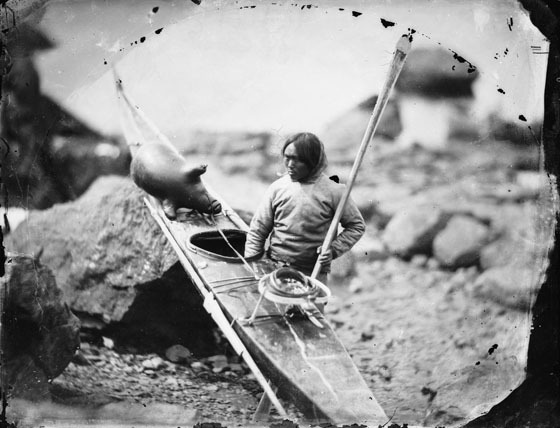 Kayaks were originally developed by indigenous Arctic peoples, who used the boats to hunt on inland lakes, rivers and the coastal waters. These first kayaks were constructed from stitched animal skins stretched over wooden frames made from collected driftwood. Archaeologists have found evidence indicating that kayaks are at least 4000 years old. Of course, that technology has come a long way. 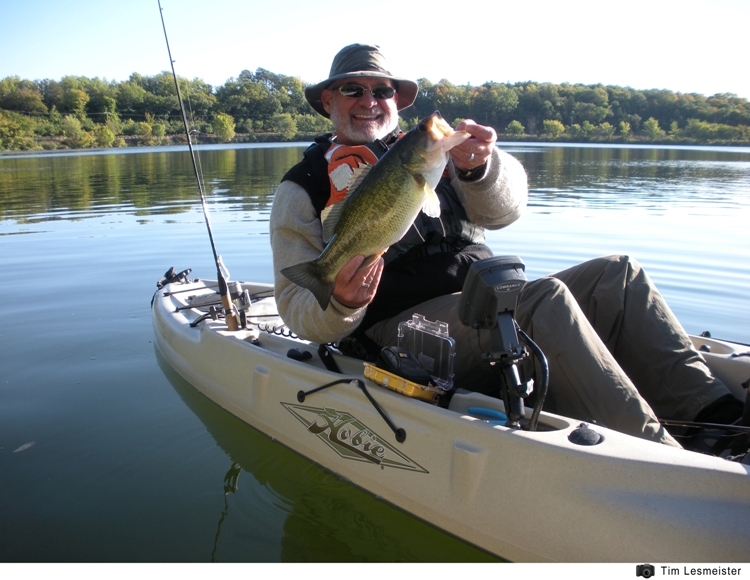 Most fishing kayaks are made from modern materials such as rotationally molded polyethylene, and are relatively inexpensive and easy to maintain. 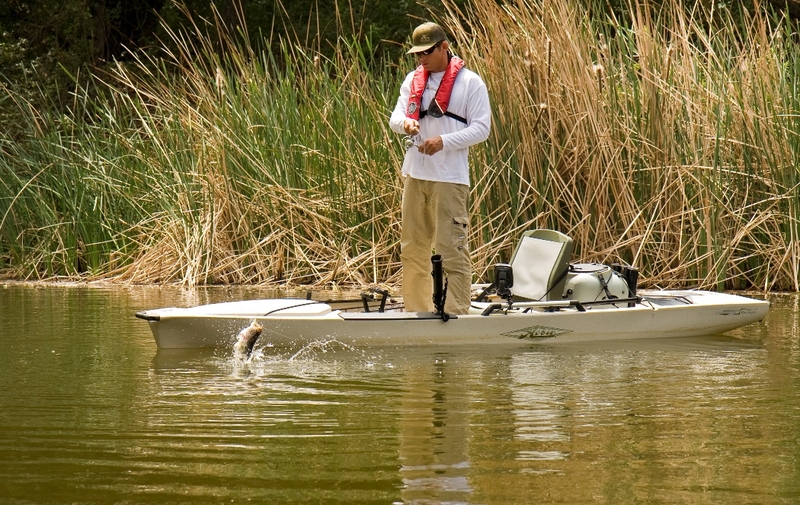 Fishing kayaks have become highly specialized to the sport, and include such features as rod holders, catch bags, and various equipment mounts. They typically have wider beams than other kayaks, both for stability and for extra storage space. 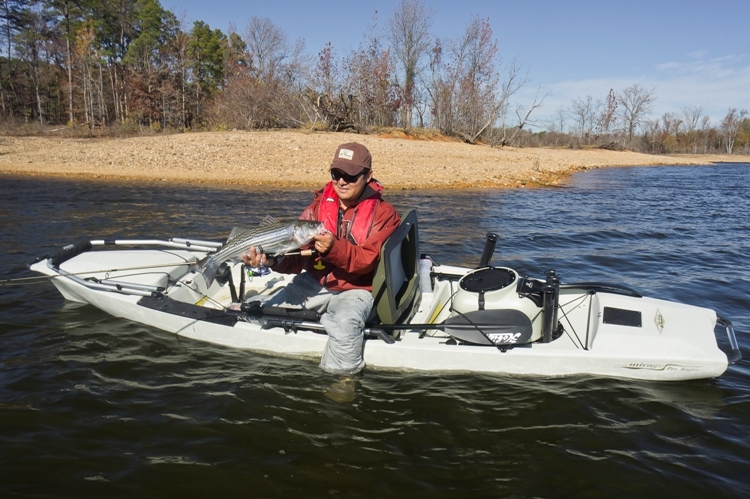 The right kayak makes all the difference, and kayak fishing took a giant leap forward with the MirageDrive from Hobie kayaks. The MirageDrive replaces the ungainly paddle with super-efficient pedals that drive a pair of underwater fins much like a penguins flippers. This efficient mechanism allows you to go faster and further with far less effort than a paddle. 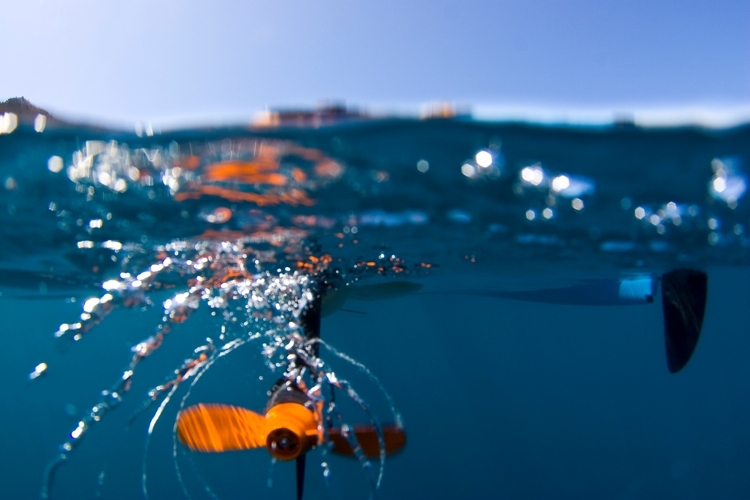 Whether snapping up to speed with a quick burst or steadily covering expanses of water for tracking or trolling, the MirageDrive allows effortless freedom and function. But the real genius of MirageDrive is how it frees up your hands for fishing, as you maneuver your kayak with your feet. Cast with both hands as you hold yourself in a ripping current, or use the MirageDrive to drag that fish out of structure like branches or docks. Mirage Pro Angler 14. Fish be warned: the Hobie Mirage Pro Angler 14 excels at helping anglers land prizes of every fin, stripe and color. Whether it's a day of drift casting, dry flying, or exploring new saltwater haunts, the boat's super-stable, standing-friendly, rotomolded polyethylene hull (600-pound payload) encourages all styles of fishing. The Pro Angler 14's feature-laden deck packs the essentials - from easy-to-reach rod holders, to the fully adjustable Vantage ST Seat, to stowage for multiple Plano tackle boxes - for years of blissful fishing. Simply put, the Pro Angler 14 is a no-nonsense fishing boat. Mirage Pro Angler 17T. The Hobie Mirage Pro Angler 17T is a fishing machine with comfort, stability and room for everything you need, including another person! The fully adjustable Vantage XT seating can be set up in multiple configurations: in-line tandem, face-to-face social tandem, or as a single. The PA17T is the perfect platform to teach a young one how to fish, take your family member out, or simply fish hard with your best fishing buddy. Fishing rod storage, both front and rear, holds up to 12 rods, and the H-Rail System allows you to customize accessory placement. Mirage Outback. Whether it's fishing or just sightseeing, the Outback boasts the crossover functionality, stability and utility to get the job done. A wide hull provides stability, allowing you to cast or reel in the big one without rocking the boat. Easily transportable on car top rack, the Outback still features plenty of cargo and stowage space, and, thanks to its MirageDrive system, your hands are free to tend to your photography, casting, or whatever else is on the day's work list. The complete Hobie lineup also includes the sleeker Revolution series, inflatable models for the ultimate in transportability & compactness, tandem seat models with plenty of room for you and a buddy, and paddled models, all of which make great fishing platforms. 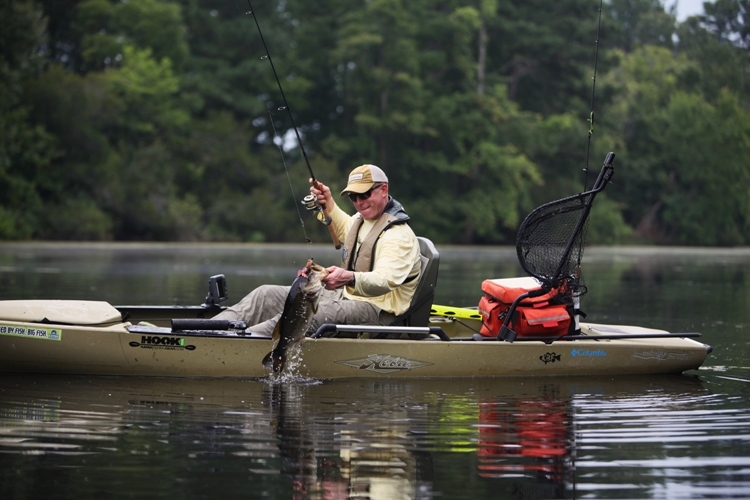 Let Quest Watersports help you choose and outfit the perfect Hobie fishing kayak. 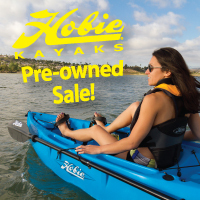 We carry a full Hobie MirageDrive model lineup (including demo units - call us to try one! ), along with a great selection of options & accessories to make it uniquely yours. We're located in the heart of Illinois' Starved Rock Country, where there's no shortage of fishing destinations - email or call us at 815.433.2200, or stop by for a test drive at nearby Heritage Harbor Ottawa. Fish on...!